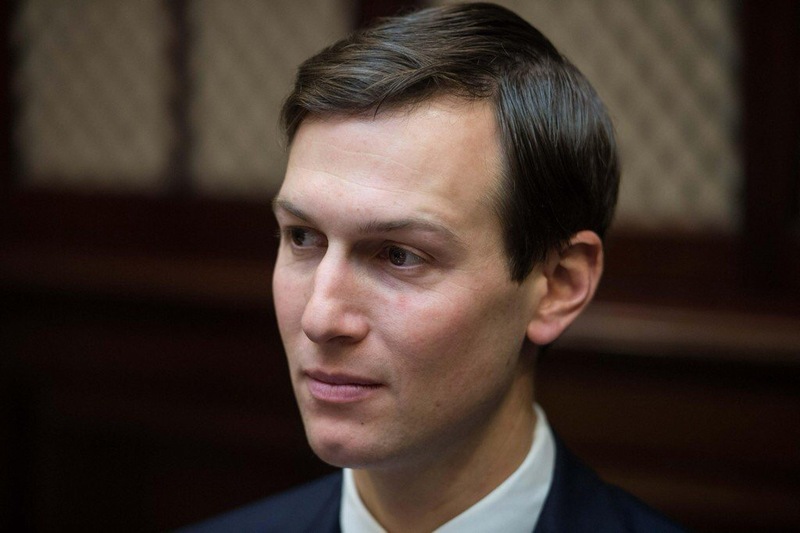 Washington (AFP) – The probe into Russia’s role in the US election pierced the innermost circle of the White House Saturday, with reports that Donald Trump’s son-in-law sought a secret communications line with Moscow — the most damning allegation yet from the scandal. The latest furor was stirred up after the Washington Post reported late Friday that Jared Kushner — arguably Trump’s closest White House aide, and husband to the president’s eldest daughter Ivanka — made a pre-inauguration proposal to the Russian ambassador to set up a secret, bug-proof link with the Kremlin. The revelation, if confirmed, would raise new questions about the Trump team’s relationship with the Russians, who US intelligence agencies say tried to sway the November election in Trump’s favor. White House officials declined to comment on Saturday, ahead of Trump’s return to Washington following his first overseas trip. “We’re not going to comment on Jared, we’re just not going to comment,” said Gary Cohn, Trump’s chief economic adviser, during a press conference in Italy as a G7 summit wound down. “I would not be concerned about it,” he added. But a former head of the US National Security Agency harshly condemned Kushner’s alleged effort to set up a secret communications line, saying if it’s true, it would reveal a dangerous degree of ignorance or naivete. “What manner of ignorance, chaos, hubris, suspicion, contempt would you have to have to think that doing this with the Russian ambassador was a good or appropriate idea?” Michael Hayden said on CNN. He said he leaned toward “naivete” as an explanation, though he did not find it comforting. “That is indicative of espionage activity of an American citizen that is working in league with a hostile government,” he told MSNBC. The Washington Post said Kushner’s secret communications proposal was made December 1 or 2 at Trump Tower in New York, according to intercepts of Russian communications that were reviewed by US officials. Michael Flynn, who was Trump’s national security adviser for just 24 days before being fired amid questions about meetings he held with the Russian ambassador, was also present, the newspaper reported. The Post said the Russian ambassador to the United States, Sergei Kislyak, was surprised by the future White House aide’s idea of a secret channel and passed it on to the Kremlin. Trump will return to Washington to face a cascade of other worries related to the Russia probe in the coming days, including expected testimony by fired former FBI director James Comey before a Senate committee. In another development, The New York Times reported Friday that Oleg Deripaska, a Russian once close to Trump’s former campaign manager Paul Manafort, has offered to cooperate with congressional bodies probing alleged Russian election meddling. Kushner boasts an enormous portfolio of domestic and international responsibilities underscoring his importance as Trump’s chief aide-de-camp, despite having no experience in politics before the 2016 White House race. The Post and other media have been careful to note that their sources did not say Kushner was a “target” of the investigation, nor that he was accused of any wrongdoing. Labeling him a “target” would suggest Kushner was a main suspect of the investigation. But there have been a number of as yet unexplained contacts — during last year’s presidential campaign and afterward — between other top Trump aides and senior Russian officials, including Flynn, US Attorney General Jeff Sessions, Manafort and others. Trump has denied any collusion with Russia, calling the probe “the greatest witch hunt” in American political history.